Environmental specialists lead hikes through Lyonia Preserve every Monday and Friday. 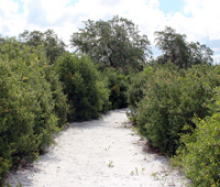 Participants should wear closed-toe shoes, bring water, and be prepared to hike on unpaved sugar-sand trails. Meet at Lyonia Environmental Center, 2150 Eustace Ave., Deltona. Reservations are requested and may be made by calling 386-789-7207, ext. 21028.